The worlds best endure a TT as part of the grand tours and other big stage races on the World Tour, they are part of many of not all national championships and many clubs run those own club 10 or something similar. The local Triathlon club to me is no exception. As a cycling club we are more than involved as many Tri members are cycle club members too. Yesterday evening I turned out for my first TT, hoping not to make a complete fool of myself. I had made the decision a few weeks back after a club email and after checking the diary, things matched up, so it was done, I was going to complete my first TT. That weekend I even did the course to see what it was like and to see what I would be letting myself in for, however this test ride was nothing compared to what I experienced but useful never the less. A friend had let me use his TT bars which I am very greatful for and will now need to purchase my own set. The test run was completed without the TT bars, so logging the test time I felt I could go quicker. So 6.30pm came and it was time to get changed. The start of the TT is very close so leaving at 6.30pm for a 7pm registration allowed for a pre warm up, warm up and time to feel relaxed on the bike. Registration was complete and an estimate time given (as I had no previous time to work on). This was 29 minutes from the organiser, and I went with it. It is now time to mention the test time had been 29.45 without TT bars so I went with this estimation. It meant that out of the 35 riders I would be the eleventh rider out, the fastest riders going off last. The goal enjoy it and try two things, catch my minute man and not be caught by the guy behind me. I was called forward to the start and elected to have the bike held so I could remain clipped into my pedals. The countdown started, 30 seconds, 15 seconds, then the final 10 second countdown before GO! Strangle I remember is all quite well but as soon as I was off I wanted to get a good cadence and in a high gear and maintain the pace. I was quickly into position on the TT bars and felt quick. The heart rate was up and getting higher and I knew I had to get close to the redline without going over it to much so not to burn out. Entering the first straight I could see my minute man, this spurred me on to make the catch, but when, if at all would this come. At these speeds a minute is a lot of road to make up. Head down keep the cadence steady in a high gear and push, keep pushing. I went through the bends before I knew it and then onto a second straight. It was deceptive but looking up I could see my minute man and I was sure I was getting closer. Keep going and don’t get carried away, I had to tell myself. The first half, the out section of the course is downhill so I needed to not give it all so I didn’t burn up in the second half. I was getting closer to my minute man and knew I could make the catch, but just had to keep going and it would come. Half way was reached and thankfully a clear roundabout meant I didn’t have to ease up much, just enough to get round safely, my minute man was within reach. I thought just get the cadence up and keep pushing in the gear I was in and you’ll make the catch and then we will see what happens. Catch made first goal achieved, I was not on the way back and saw the later, faster starters pushing hard on the out part of the course. Some of these guys and girls were on very expensive TT bikes complete with arrow helmets and skin suits. Just keep pushing and go. The pain was starting to kick in now and I just had to push that to the back of my mind, which was not easy. 7 miles gone and onto the straight again, this time into a headwind, grit teeth and keep pushing I said to myself, numerous times. Back through the last village before the end and into the final drag before the uphil finish. Keep the tuck going and push, it was hard to to is now as I was on the limit. I was in the red and with 1.5 miles left it was a case of just hanging in there. I must have made a few down shifts as I entered the hills and then, bang I had been caught by the rider who started behind me. He pulled away into the final hill and I just gave it one last effort. I thought I would catch rider 12, but I was empty and had nothing left. The final straight to the line and I gave it everything. I crossed the line, shouted out my ride number “eleven” (not sure if I needed to but did it anyway) and looked down at the Garmin, 28 something I remember seeing. I reached the pub car park where we met at the start and then again at the end, whilst waiting for other club riders to return, and was asked that looked quick what was it? 28 someing was my reply, whilst short of breath. “Good time for a first effort” was a reply I heard more than once. I felt good which what I had achieved. The times were read out after the final rider was home and I had recorded a time of 28.32 which I am happy with. I had beaten my estimation, caught my minute man, so have to be happy, well on reflection I an over the moon with my efforts. There are two more TT’s left and luck has it I am not away so will be able to participate. It will be hard but now I have a target time, I’ll give it a go and let’s see what happens. So did I enjoy my first TT! no I loved it and can’t wait for the next one. This entry was posted in Cycling, Equipment, Sports (other), Training and tagged pushing yourself., time trials, TT. For many cycling or any other activity we do to keep fit or for enjoyment of a physical nature, we can normally see improvements over time. There are people out there who just go by the feel of a particular ride or run and those at the other end who analyse every last detail aided by a range of technology measuring, well everything. For me, there is no one better method, and it is personal preference, and I know where I sit along the line, somewhere closer to the analyse everything end than using pure “feel”. I know I have improved when I look at my data, but that is not the purpose of this post. As part of my career I have used reflection to improve my own performance (as many others do) and this has been transferred to my cycling. I reflected on the club ride yesterday and the first ever club ride I completed back in March. First yesterday was a higher group, so the first baromitor of any improvement. When I reflect upon the first ride when I was not fit enough and I could not close the gap which had developed, and yesterday when I was leading a large peloton of 17 riders at a much higher speed, is the second. I didn’t think I would be in such a position. Maybe the club secretary was right in his statement I could be in the second group by September! 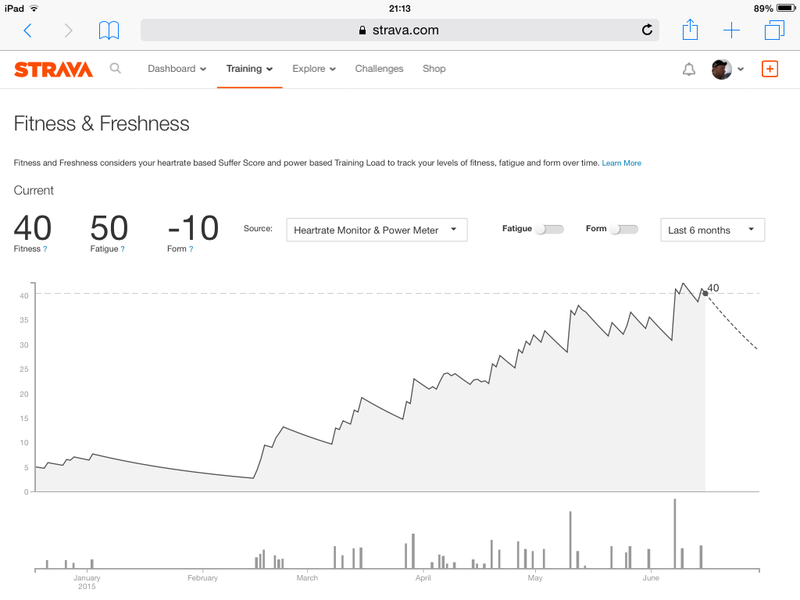 These improvements are backed up with the data (on Strava), but the improved confidence of riding within a group, and leading them is another sign of my improvement as well as others having the belief in my abilities to do the job. Confidence. I now have this, and back myself, and I will even try a TT before the end of the season. TT bars have been aquired from a friend (who joined the club ride for the first time yesterday and loved it). I have ridden the TT course so know what to expect but not yet with the TT bars which will, I am sure aid my goal towards a PB. The think here is just having a go. If I come last, so be it, but for me a TT is just about being able to beat my own time over a period of weeks. The improvements I have seen in 2015 will keep me more motivated during the winter months when on the trainer and then come the spring knowing a good winter training programme has followed a good summer, will allow an increase in confidence for the summer of 2016, and pushing those boundaries further. The only problem with this is the requirement for another new bike which I suppose is never a bad thing! This is all good of course for the main event which is just under a month away, Prudential Ride London raising fantastic funds for Teenage Cancer Trust. My link is here if you can help in any way to reach my target. Whatever works for you, is what you should use, and enjoy it, unless your a pro cyclist and they get paid for their hurt, however we feel great when we can see ourselves improve and for that I just love Strava! Happy riding, enjoy the ride. This entry was posted in Cycling, Equipment, Fundraising, Ride London, Teenage Cancer Trust, Training and tagged Cycling, fundrasing, improving, performace, ride london, teenage cancer trust, training. I have been out with the club for about 4 months now and it’s fantastic. I have learnt so much and reminded myself of things I had forgotten from reading blogs and articles last summer. Tomorrow it all comes together when I will lead my first ride at 7.30 am tomorrow morning (UK time). Others have faith in my ability to lead the ride, and I am confident I can do a good job. After all I have been assisting in an official capacity as ride assistant for the past few months, learning the ropes, and now I have the opportunity to ensure everyone has a good ride. The route is quick and flowing and all going well we should roll quicker than the planned average, but we shall see. We do have a no drop policy for the group I lead tomorrow, so a good opportunity for me to roll through the groups having a chat with people and getting to know more about them and their cycling, and more importantly to ensure everyone gets back safe. As normal I have checked the bike over and ensured she is ready for the task, and she received a little more attention than normal to ensure she is looking her best for leadership responsibilities. The kit is ready, drink chilling in the fridge, and the Garmin fulling charged with the route loaded, so we don’t get lost. Just now need to chill out with a cold drink this evening and watch the highlights from the first stage of the 102nd Tour de France. This entry was posted in Club rides, Cycling, Equipment, Training. I received a great email at the weekend to say that my jersey had arrived and I was able to collect. The bib shorts are still on their way and I can’t wait for them to arrive in a few weeks. However I now feel even more part if the club (if that were possible with the phenomenal welcome I have already received). I have to say the quality is very impressive. It is clear this is not a cheap Jersey. It feels very light and fits very well, as you would expect from IMP Sports. The pockets are large to fit your ride essentials and some food for the long rides. If your club kit is as good as this then you, like me are a very lucky and happy cyclist. I suppose the question is what next to order after I have taken out a mortgage to pay for it all! I can’t wait for the commute in the morning so I can get to ride wearing my new club kit for the first time. And yest rule #16 will also be applied, respecting the jersey, after all I am now always on club duty wearing this little number. 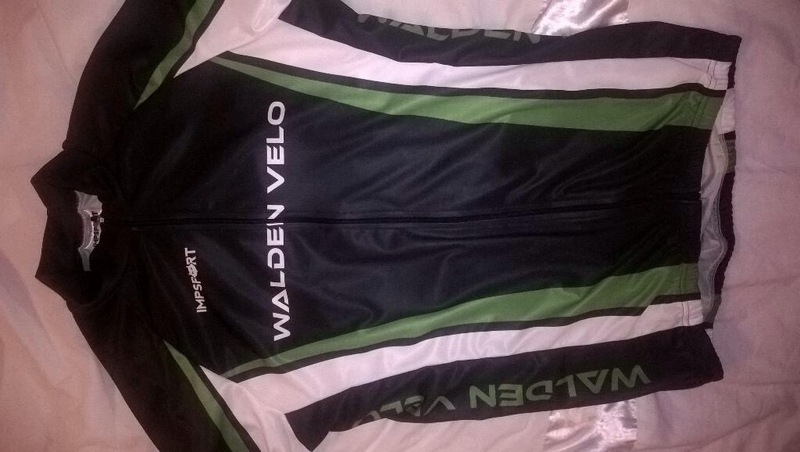 This entry was posted in Club rides, Cycling, Equipment, Training and tagged clubkit, Cycling, impsports, jersey, waldenvelo. Back on the blog and soon the bike. Lots of things have happened since my last post, probably too much to mention. June has not been a good month for my training. Only managed 192km last month which isn’t ideal before I cycle Ride London next month! However when you spend 4 days in hospital with abdominal and then associated heart problems the the cycling takes a back seat. The result of this is I have has a couple of biopsies taken from my bowel for further tests and we are now playing the waiting game. Fingers crossed. Well as the new month is here, the month of the Tour de France, I can start to think about repairing some of the training as part of my recovery. Loads of commuting to work and the longer weekend rides are the order of the month, as well as trying to catch the tour highlights, the final week of Wimbledon and the final stages of the World Cup! When I was in hospital I however did get a boost as my blood pressure is coming down as is my resting heart rate. As we know the fitter you are the lower these become as part of the health benefits. Having a resting heart rate in the mid to low 50’s was a nice piece of data to take away. At least I put in some hard work during April which will pay off next month. So with the recovery in progress, I had my spirits raised further when my Sue Ryder jersey arrived in the post. As you can see it looks good and I have to say I am looking forward to getting out there and giving it it’s debut ride. As well as this I received my start time and option to book a car park place. All this has been done and I am nearly ready. 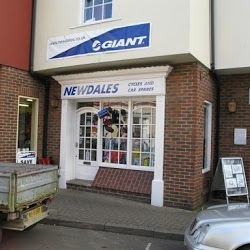 Later today with a bit of luck my new bidons should arrive and then can be fitted to the bike. Am I ready? Well the training could have gone better without illness but I still feel I can perform well. I now have a cadence sensor and HR monitor so I can better manger my effort on the bike. I have to say the cadence sensor has helped me increase the speed slightly without entering the red for effort and wasting energy. Let’s see how we get on next month! Please support me at http://www.virginmoneygiving.com/PhilWheeler5 for a great charity Sue Rider! 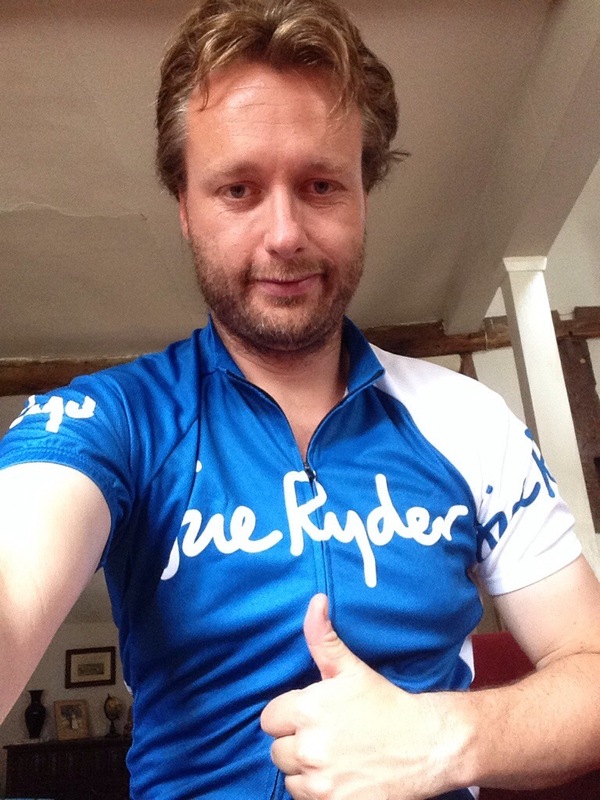 This entry was posted in Cycling, Equipment, Fundraising, Ride London, Sue Ryder, Training.